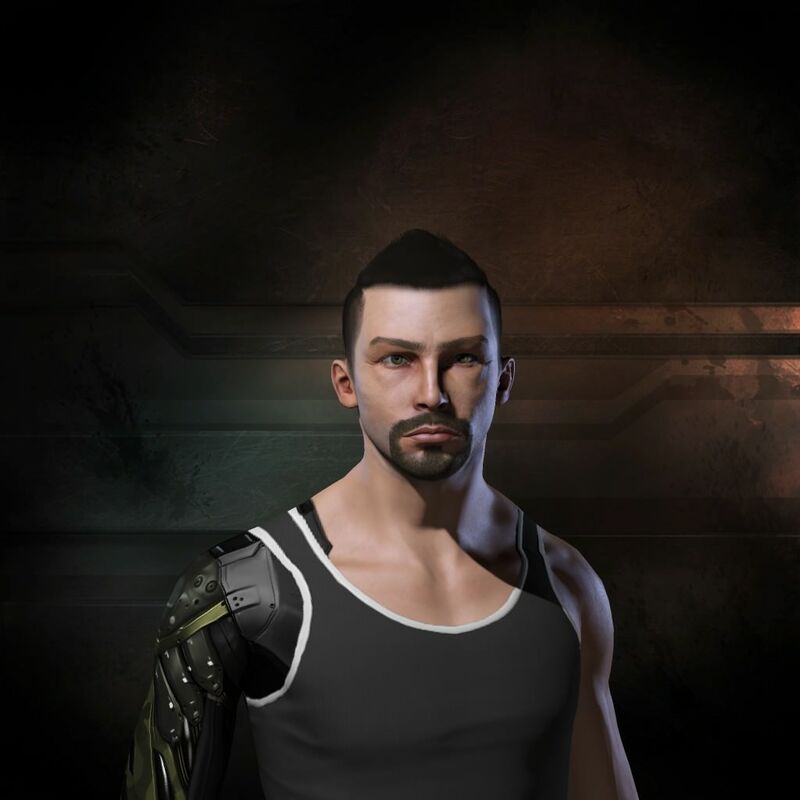 2.5 Thrashers | Taking wing – An EVE Online Blog, with other things sprinkled on top. Hooray for blog post titles that are weird and unrelated! Of all the things to break the monotony of FW in my EVE life, I would’ve never expected a random mail from a random null-sec corporation who were recruiting people in NPC corps to suddenly give me something to talk about. I’ve spent the last weeks staring at blog post drafts which all just seemed to come out the same way: FW, FW, FW. And I mean, that’s no surprise given that I engage in FW activities for 99% of my EVE time, but really, there’s only so much you can say about war. Anyway, my alt today got a mail from a self-proclaimed PvP-centric corporation that lives in sov null. Interesting, definitely. If I didn’t have things for my alt to do down here I would’ve probably gone to check them out. But that’s how it is, I have to ignore what would undoubtedly have been a wonderful opportunity. As ‘that guy’ who tries to get along with everyone, my admiration for some of the things Churchill said overrode my Mr. Nice Guy outlook and drew an evil grin to my face. Oh the audacity of that comment! No doubt it gained Churchill some enemies as he said them. I applied to talk at EveDownUnder 2015 this year. It’s kind of the same as last year, really. I want to talk, but at the same time, I don’t. But I would rather get there knowing I applied to talk and was unsuccessful than get there, still feeling like talking, and wishing I had applied. It ties off a “what if…” in my life, and that’s always a good thing. What would I have talked about? Hmm, well, FW? Lol. That part’s obvious. The message I think I would try to convey this year would be of not giving up. Last year it was about creating content and helping newbies and my own newbie story. This year is of looking forward, and finding fun in the most unexpected places. I know this sounds really lame, but it’s okay to lose. It’s not something people can grasp easily, that’s for sure, especially in a game where losing a ship can hit you pretty hard. It might sound like, after all that talk about winning the warzone, I’m now backpedalling hard and throwing damage control at all my previous posts. No, far from it. According to Churchill, since we have enemies, we have stood up for something, haven’t we? Is it fun to lose if you’ve lost while fighting for a cause? My answer? Yes. And throughout my skirmishes with the Amarr this year (my god it’s been a year), we have won and we have lost. If we keep our ears on the grapevine, recently it would seem the Amarr consistently outperform us. Alas, the grapevine is kind of correct. They currently are still the stronger overall force, but what the heralds of the 24th Imperial Crusade (okay, I didn’t want to just call DnG ‘loudmouths’ :P) make their militia out to be, and what it actually is, are of course two different things. Here’s how events usually go down when we go head-to-head with the Amarr. We ship up, go plex or deplex. They come see what we have. The first hour or two involves small skirmishes and bouncing around the system plexes as we try to gain dominance over as many plexes as possible. When there’s one plex left, usually Minmatar-occupied because the Amarr have managed to secure superiority in the others, they check out what we have again, and go reship to fight us. This pattern has been witnessed by myself over, and over again. Perhaps they will fight with what they have then reship, but they will reship, usually to a counter or simply a stronger force. The speed at which they reform is admirable too. I’ve learnt they are certainly a formidable opponent even without forces like MCF1B, a medium-sized highly-skilled alliance that left for the Gal-Cal warzone. So they reship and we fight, generally, and lose. We do bleed pilots like this, and bleeding pilots to an FC is like losing limbs. But it doesn’t matter, because we fought, and we learnt. I’m trying to encourage as many people to leave a fight having learnt at least one thing to improve upon for their own flying. Don’t blame the FC, don’t blame the composition, don’t blame your ship, lag, overview glitches. One thing for yourself to improve. Maybe it was the late scram. Maybe you turned on guns on the wrong person. Maybe you overheated your modules and burnt them out.